If you are moving to a new office or home contact the Mango Maids team for moving out cleaning services in Calgary & Edmonton. A lot of the time a home and/or business is a mess after moving all of the belongings out. Make sure your property is in great condition for the renter or new tenant with our maid and cleaning services. We make the move cleaning stress and hassle free. Moving out into a new home or business, large or smaller, in the same town or in a new town can all be very exciting and fun experiences. Keeping your existing home clean through this process, though is much less fun. Home or business cleaning is an added task that no prospective mover wants to deal with. Moving out of a home or business property requires large time commitments. Attempting to keep your home or business clean during this time can be very stressful. Keep your mind on your move with the professional cleaning services offered by Mango Maids! At Mango Maids we have what it takes to help with your move out cleaning needs. Our team is here to keep the stresses of home cleaning off your plate while your move out of your home or business. Call or email Mango Maids today for more information on our moving cleaning packages! Moving out of an old home or business and create a range of messes that can add to the stresses of moving. Don’t let a dirty home or business make the benefits of your move less appealing. Utilize professional move out services to keep your pretty clean through each aspect of the move out process. Contact the move out cleaning experts at Mango Maids today with your Alberta move out cleaning needs! The eco-friendly approach that Mango Maids brings to your move out cleaning needs ensures a safe and effective process every time. The expert eco-friendly cleaners at Mango Maids have the skills, knowledge and industry experience to handle all your residential or commercial move out cleaning needs. Call or email Mango Maids today to learn more about our commitment to eco-friendly cleaning or to schedule an eco-friendly move out cleaning consultation today! When it come to professional move out cleaning projects, Mango Maids makes sure to clean your entire property. Every major room and area in your home can become increasingly dusty and otherwise dirty during your move out process. You cannot neglect and surface or room during a professional move out cleaning project. For more information on how Mango Maids provides complete move out cleaning service, call or email us today! Moving businesses into a large facility or better location is exciting. Make sure that you’re able to focus on the move and not on the hygienic state of your commercial property with the moving out cleaning services from Mango Maids. Our team of experts utilizes eco-friendly products and processes to complete clean and sanitize your commercial property. Contact Mango Maids today to book a commercial cleaning consultation! You can trust your Alberta move out cleaning needs to the moving processes expert cleaners at Mango Maids. Our team understands the messes that come along with commercial or residential move out processes. We have the eco-friendly approach to professionally handle your move out messes. 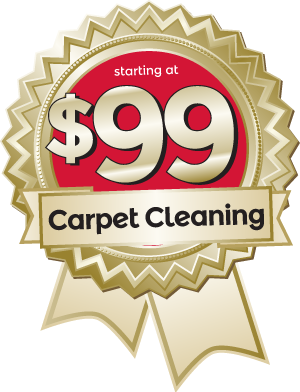 We offer a 100% satisfaction guarantee for each of our move out cleaning projects. Contact Mango Maids today to for a free move out cleaning estimate. Contact Mango Maids today for moving out cleaning services – fill out your information below and our customer service team will be in touch with you shortly!